Feel The Hunger Pangs? Follow This Food Trail! That’s a statement we can all unanimously vouch for. Yes, agreed that travelling is all about the cultural exposure, the people we meet, the sights we see, but it is also a lot about food. 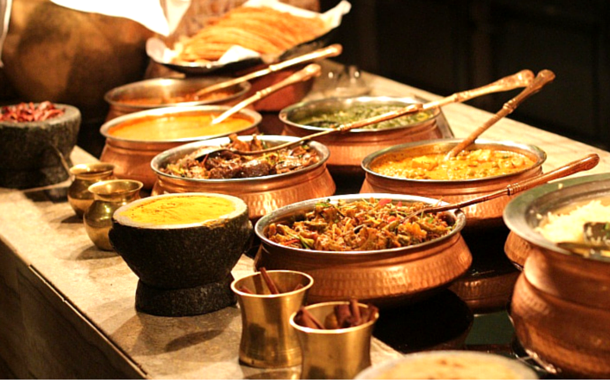 So today, we’re going to take you on a 6-course dinner journey through the different states of India. A food path chalked out, specially for the foodie in you. 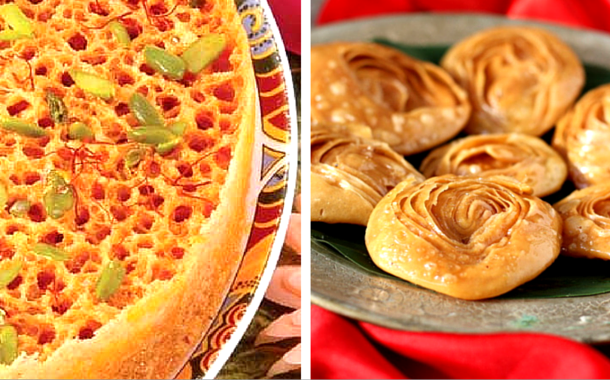 You’re about to be spoilt for choice, because after all, this is India! Warning: Don’t read this on an empty stomach, you might find it hard to resist. 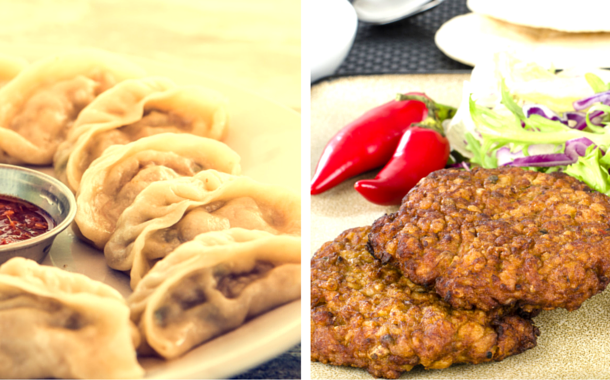 The first course is generally something small and refreshing, for which momos and Shami Kebabs are perfect. If you’ve been to north-east India, you know how big a deal momos are; and just how tasty they can be. The Shami Kebabs are smooth and silky with finely chopped onions, chillies and garlic to add some spice. A dish famously found in the north. This soupy concoction of aromatic vegetables, coarsely chopped onions, spring onions, topped with a deliciously fried fish, make for the perfect dish to continue on this 6-course meal. 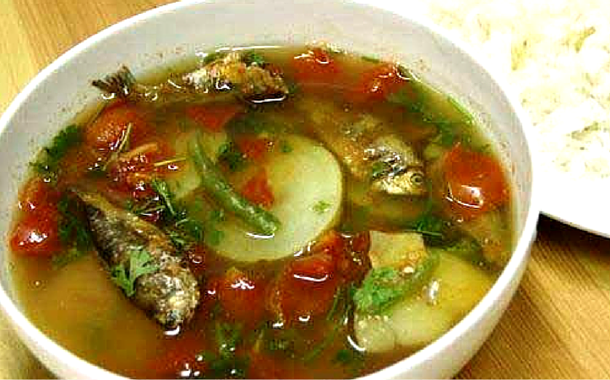 One of the most famous dishes, it’s a definite must try when in Manipur. Ilish Maach (Hilsa fish) is a famous dish found in West Bengal. Steeped in Mustard sauce and doused in a generous amount of Mustard oil, this dish has some really strong flavours. But fret not, if mustard is not your cup of tea, you can try the Assamese Masor Tenga. Tenga is a souring agent which lends its unique flavour to the dish making it tangy and sour. With a combination of lemon, tomatoes and sour spinach, this dish will have you licking your fingers for good. 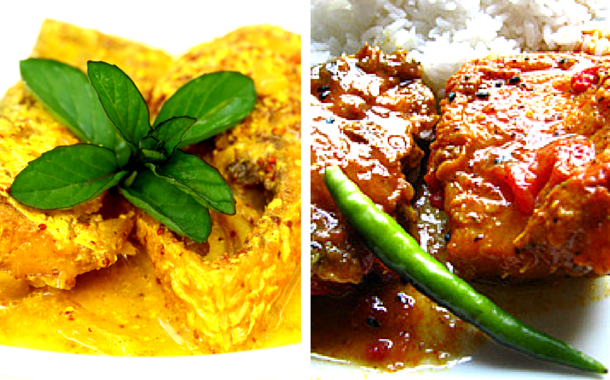 What’s better suited for the main course, than a nice healthy dish of Kerala’s aviyal. 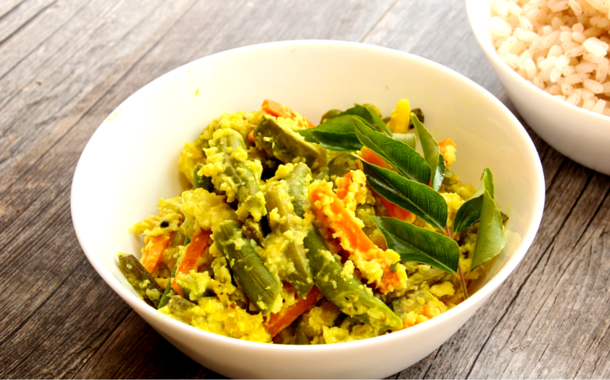 This vegetarian dish is a combination of various vegetables cooked in coconut oil, curd and seasoned with curry leaves. A sure shot party for your taste buds. So the next time you get your Kerala tour packages and head on to Kerala, make sure to try Aviyal. Though it’s not technically a salad, it can pass off for one. 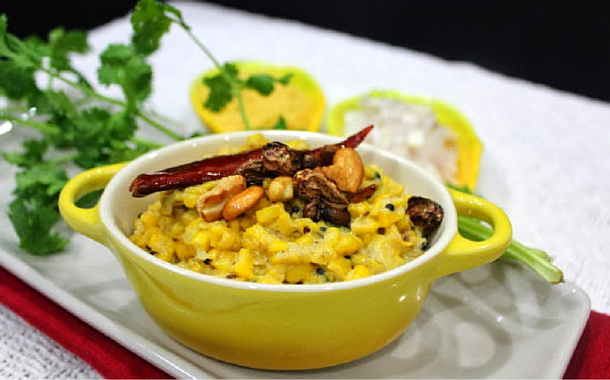 A grated sweetcorn dish, don’t be fooled by its soothing yellow appearance, because it’s in fact a very spicy dish. A healthy dish, you need to try this when you find yourself in Madhya Pradesh. The best way to end a glorious meal, is on a sweet tooth. Round in shape, made from milk, flour, and pure ghee, Rajasthan’s Malaai Ghewar is the perfect way to end this 6- course meal. But since this is India, a land rich with many options, there’s more. Karnataka’s Chiroti a very prominent delicacy, made from crispy flour topped with powdered sugar also makes for a great dessert. Now that you know where you can find what delicacy. Let your gourmet tour begin!